Compact size to fit in your bag ready for on-the-go application! 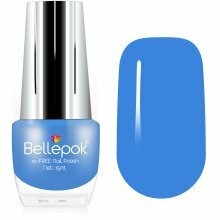 Bored of using the same plain shades on your nails? 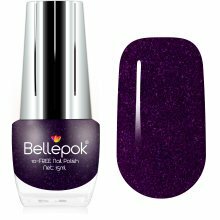 Try something dazzlingly different with this gorgeous pink glitter Bellepok nail varnish in the shade Pink Panther – also known as one of your new favourites! 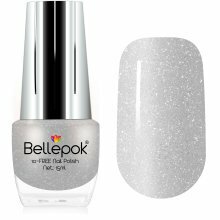 The wonderfully bright hue and stunning glitter particles are sure to add sparkle wherever you go. Add a pop of panache to your after-hours outfit – the long-lasting formula will keep your nails perfectly polished until the sun comes up! 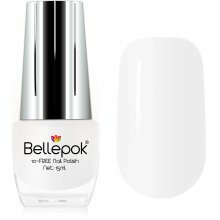 The ultimate way to refresh your collection, your nails will not only look the part but they’ll be well looked after - the polish is both cruelty-free and made without ten common chemicals found in nail varnish. What more could you want? Cruelty-free & no chemicals either! Completely cruelty-free - so animals love it too! 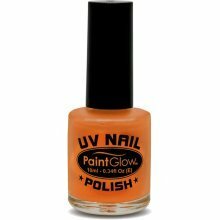 Long-lasting - no need to worry about your shade fading!